Psycho-economist Sheena Iyengar does her research at Columbia Business School, and has published the popular book The Art of Choosing to describe her findings on what happens when we have too many--or not enough--choices, and how we make decisions large and small, from which soda to drink to whether to pursue physician-assisted suicide. 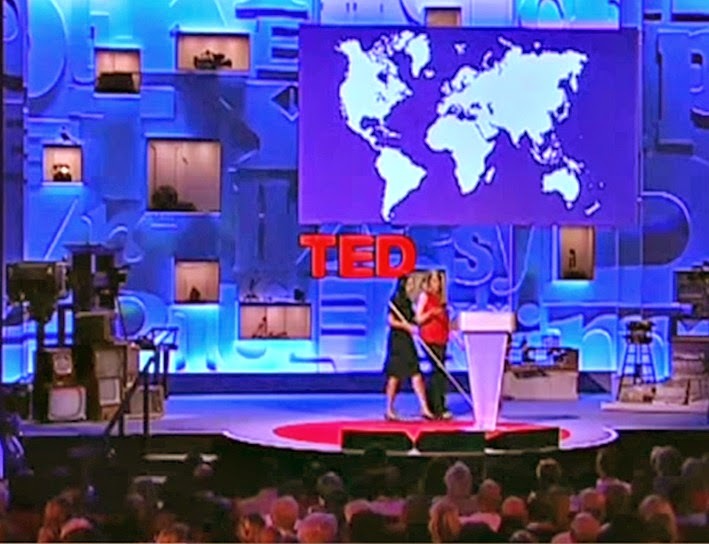 And when she spoke at TED Global in 2010, she joined the ranks of one of the very few TED speakers to use a lectern. But that was only because she happens to be blind. The story Americans tell, the story upon which the American dream depends, is the story of limitless choice. This narrative promises so much:freedom, happiness, success. It lays the world at your feet and says, "You can have anything, everything." It's a great story, and it's understandable why they would be reluctant to revise it. But when you take a close look, you start to see the holes, and you start to see that the story can be told in many other ways. At the end of her talk, the host comes out on the stage with her and says, "Sheena, there is a detail about your biography that we have not written in the program book. But by now it's evident to everyone in this room. You're blind. And I guess one of the questions on everybody's mind is: How does that influence your study of choosing because that's an activity that for most people is associated with visual inputs like aesthetics and color and so on?" Her answer involves a personal story about trying to choose between two similar shades of nail polish, based on the recommendations of others--and how that prompted yet another piece of research. Your limitations don't have to prevent you from speaking: Having help to walk on and offstage and a lectern are all the "extras" Iyengar needed to deliver this talk. Otherwise, it's a classic TED talk, mixing intriguing research that makes us think about ourselves in a new way with personal stories from the speaker. Think about that the next time you're considering what limits you from speaking. If you're speaking about research, aim for clarity: Iyengar's work looks at complex decision-making processes, most of which we experience but take for granted and don't examine closely. Yet her descriptions of the research are brief and clear, able to be understood by all because they're described in simple, approachable ways. Many researchers fret about having to "dumb down" their explanation of their work, which insults the audience. Iyengar makes it clear so we can follow her complex thinking. It makes a big difference. How will you describe yourself? Every speaker needs to anticipate speaking about herself, whether she's introducing herself, telling a personal story or explaining in answer to the host's question how her blindness affects her work. Iyengar handles this smoothly, noting "one of the things that's interesting about being blind is you actually get a different vantage point when you observe the way sighted people make choices," then tells her nail polish story. Turns out that sighted people aren't terribly good at descriptions. Iyengar is comfortable describing herself. Can you be? You can read the transcript of her talk here and watch the video below. 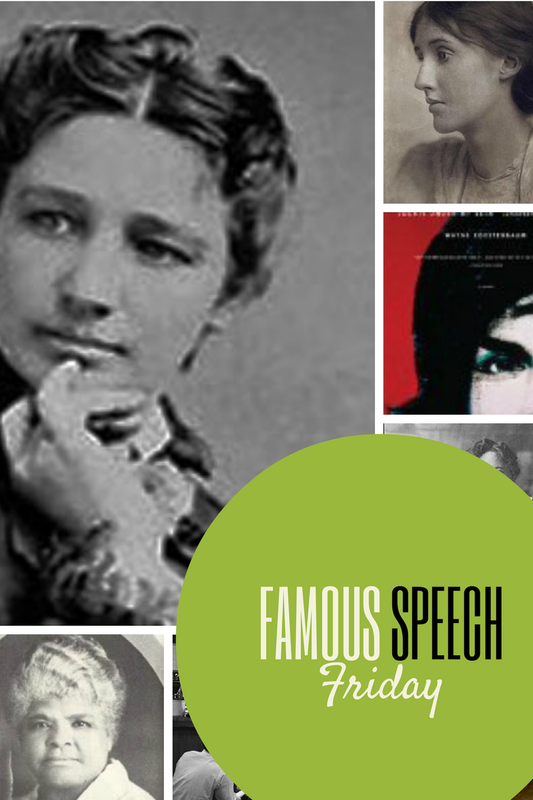 I thank reader Cate Huston for pointing me to this speech. Watch and learn from it.